DANSK BIOTEK organizes four major plenary meetings for our members throughout the year to increase our members' knowledge regarding specific biotech topics and to facilitate networking. The events usually take place in February, May, September and November. We also organize approximately four "saloon" meetings annually. They are small, intimate, "meet the expert" meetings with typically 6-20 participants advocating more in-depth discussion and knowledge-sharing on specific themes. 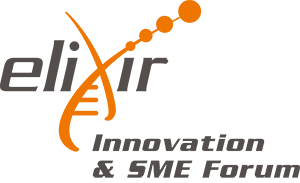 This free ELIXIR Innovation and SME Forum with a focus on Genomics and Associated Data in National Healthcare Initiatives in Stockholm is open to researchers working in the personalised medicine sector, large and small companies that develop services for healthcare systems or are users of genomics and/or associated data, as well as people involved in national healthcare initiatives and anyone else who is interested in learning more about data-driven innovation in the healthcare sector. It aims to inform about ELIXIR resources and create a space to network for industry and academia. In this lunch-to-lunch event, attendees will be immersed in a world of data-driven innovation, illustrated through talks. With a mix of high-level keynote speakers and interactive sessions, this event will allow you to discuss and interact with other companies and ELIXIR partners. A specific session with Flash Talks, will give new companies the chance to introduce their work to a broad audience. The Human Data Community is working with the Global Alliance for Genomics and Health to provide a simple way to make data discoverable through “Beacons” (https://beacon-project.io/ ). You can query the lightweight metadata provided by a data resource (a ‘beacon’) to ask questions like ‘Does this dataset have genomes with this allele at that position?’ and get a ‘Yes’ or ‘No’ answer. Copyright 2019 Danskbiotek. All rights reserved.